Thailand is the source of many of the world's finest colored gemstones, and Bangkok can fairly be termed the capital of the international gem and jewelry trade. Virtually every kind of gemstone is traded here, and material from mines around the world is brought to Thailand to be processed. A large jewelry industry has also grown up in the city to take advantage of the rich supply of gems. For gem dealers around the world, Bangkok is known as the place where colored stones of every grade can be purchased at the best prices. The story of how Bangkok and Thailand became a center for the colored gemstone trade is not widely known. At one time Thailand was an important mining center -- there were major ruby and sapphire mines in Trat, Chanthaburi and Kanchanaburi provinces. Historical references to the region's gemstone riches date back to the 15th century. However, the Thai rubies were always regarded as inferior to the superb pigeon's blood rubies from the Mogok Valley in Burma. Two events in the 1960's changed the market for Thai ruby and eventually led to Thailand's dominant position in the gemstone trade. First, the socialist goverment of Ne Win took control of the Burmese ruby mines after a 1962 coup, and the world market had to look elsewhere for a supply of ruby. 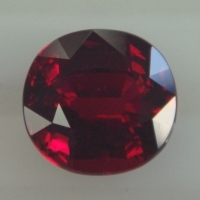 Since Thailand had the largest reserves of facet-grade ruby, there was a significant market opportunity. 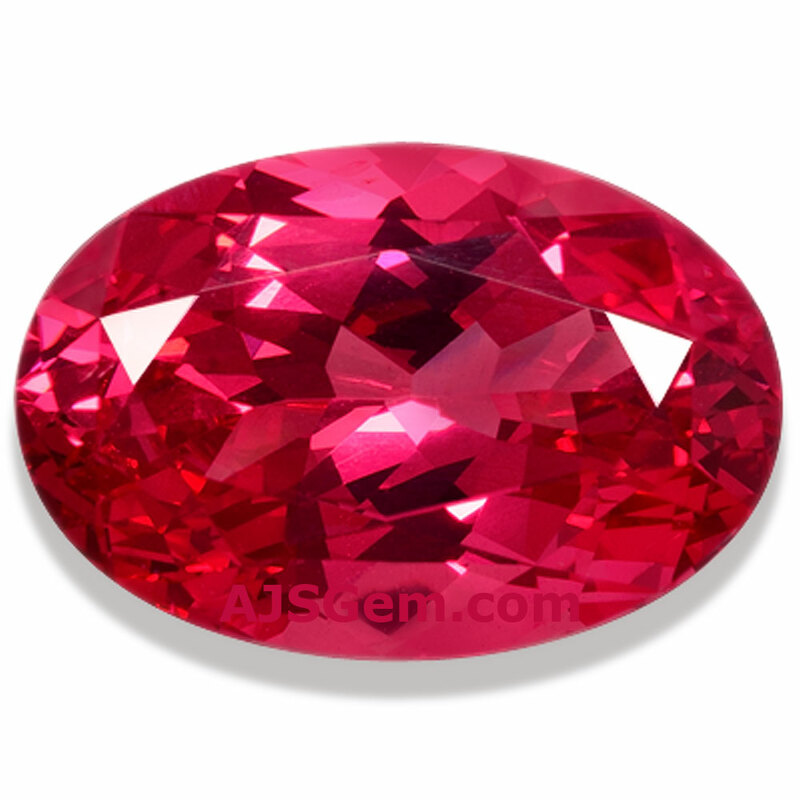 The main obstacle to market success was the color of the Thai ruby. Though the Thai ruby often had excellent transparency and clarity, the color tended to be a dark garnet-like red, due to an excess of iron. But the Thai gem dealers devised a way to heat the Thai rubies to improve their color, and Thai ruby went on to have a major market success. In fact the demand for Thai ruby was so great that modern equipment was brought to the Chanthaburi mines to increase production. By the 1980's the mines were mostly exhausted. 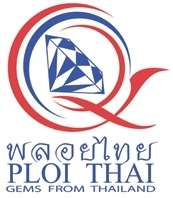 But the expertise that the Thais developed in treating and cutting gemstones proved to be the basis of future success for the Thai gem and jewelry industry. In 1992 a major ruby deposit was discovered in the Mong Hsu region of Burma, about half way between Mogok and the the Thai border. But these Mong Hsu rubies were not the same quality as the famed Mogok rubies -- they had a tendency to a slightly bluish or purplish color which was not as attractive. After some months of experimentation, the Thai gem labs found a solution which unlocked the full potential of these new Burmese rubies. As a result, virtually all of the Burmese rubies came to Thailand for processing. The Thai gem industry now realized that the future was in foreign rather than local gems, and that Thai expertise in treating and cutting stones could make Thailand a focal point for the worldwide colored gem trade. Today Thailand is processing and trading stones from new foreign sources, especially Africa and Madagascar. Nearly every variety of colored gem can be found here, and rough stone is brought from every mining location in the world to be cut and traded in Bangkok. Now other mining locations are trying to develop cutting industries. Sri Lanka is now processing many of the Ceylon sapphires that used to be cut in Thailand, including heat treatment. There are now lapidary operations in Madagascar and Tanzania. But thus far no other country has the depth of knowledge and experience and the trained craftspeople to rival Thailand's ability to process the volume and variety of gems from the world's mines. Combined with Bangkok's strategic location as a transportation hub in southeast Asia, Thailand will be a leading gem and jewelry centre for the foreseeable future.